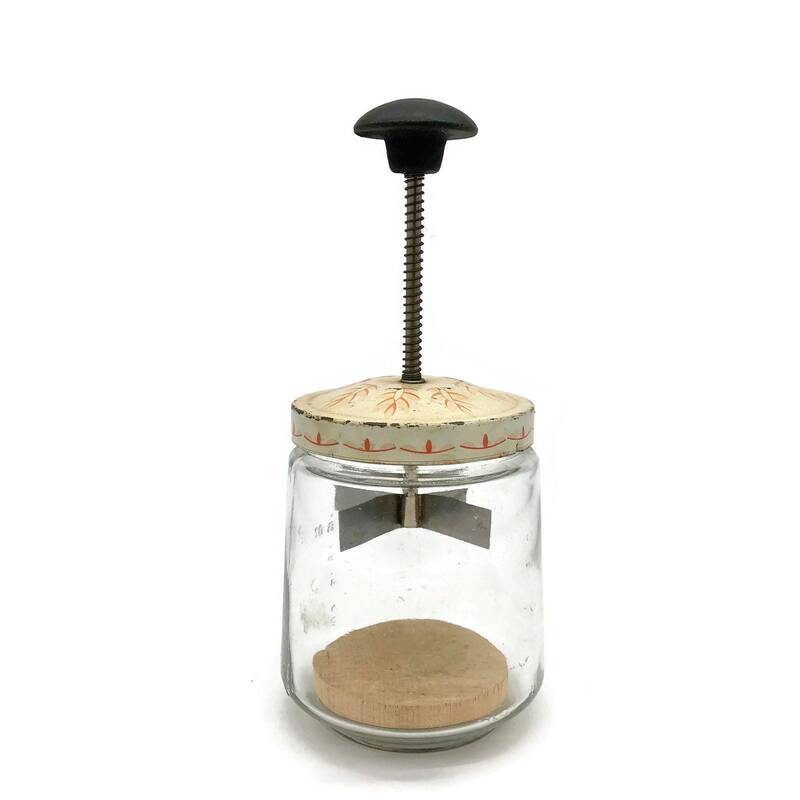 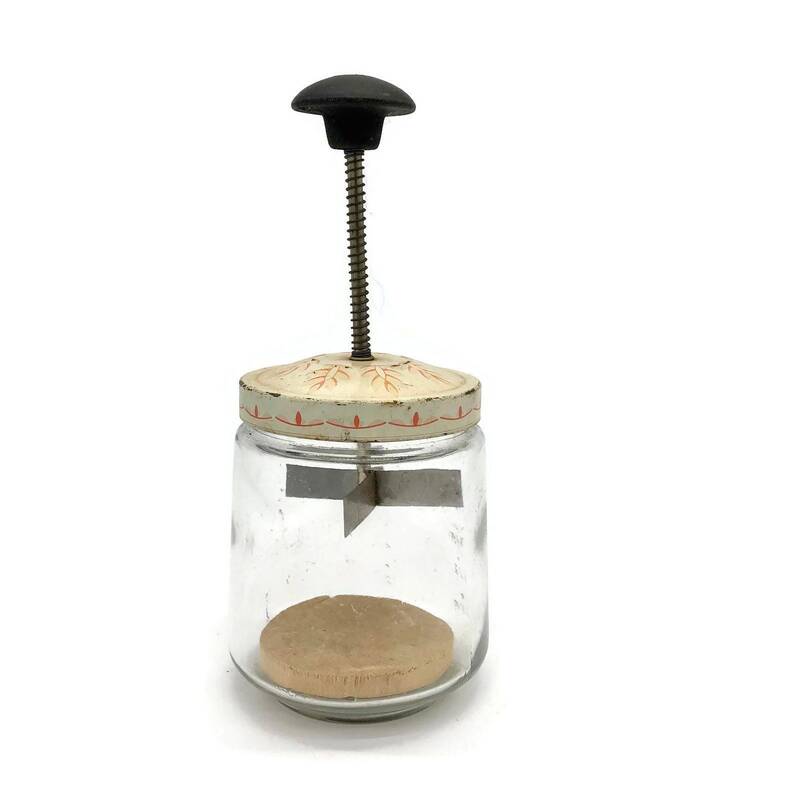 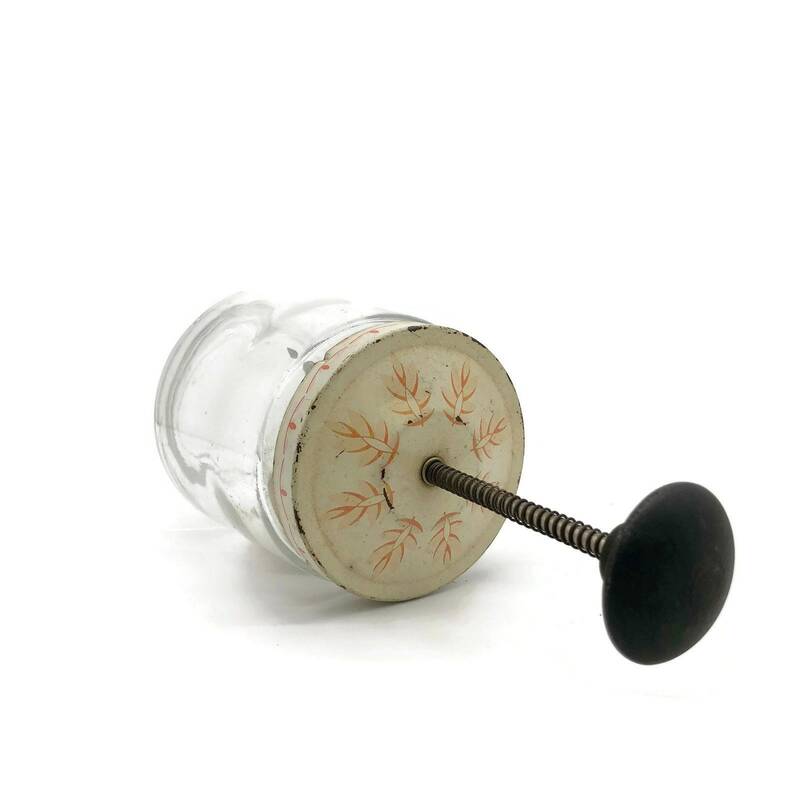 Vintage nut crusher kitchen tool with the sweetest detailing - metal lid is painted ivory with a coral pink design. 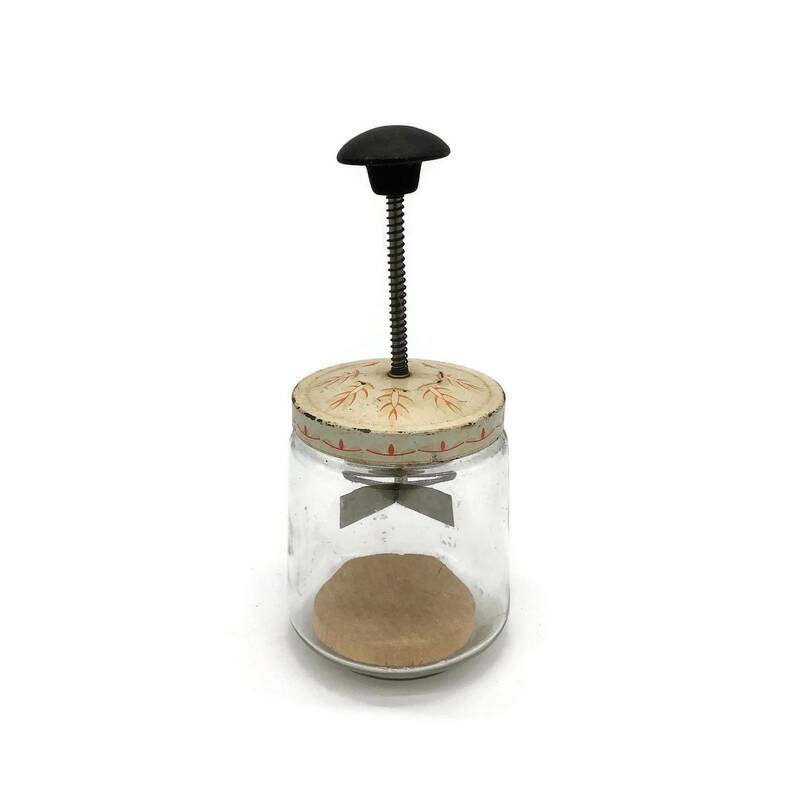 Such a cute piece to add to your collection of farmhouse kitchen décor! 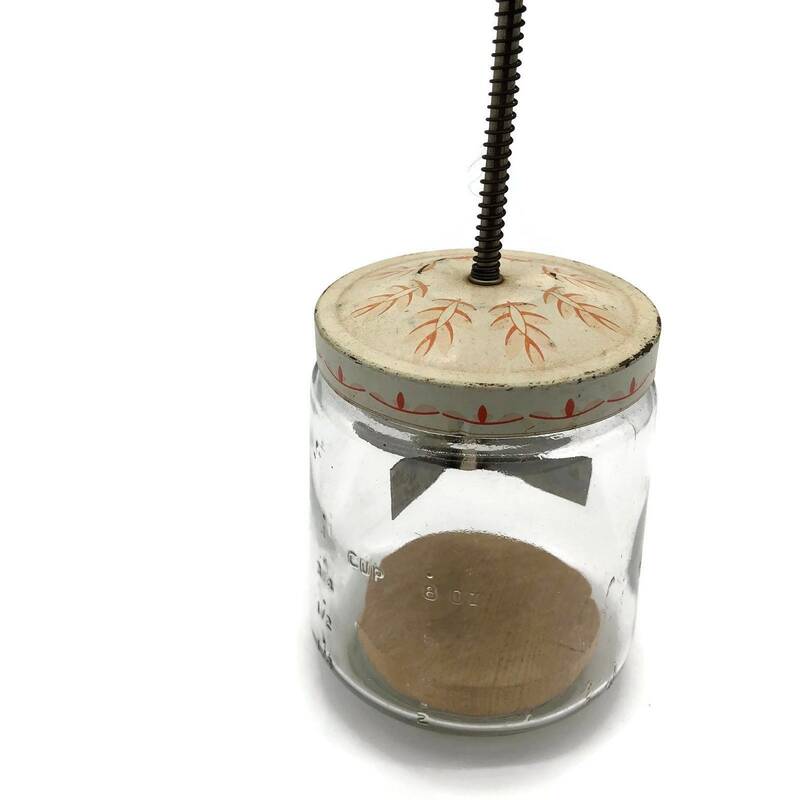 Functioning with no chips in the glass, wood or plastic handle but the finish on the paint is wearing away, only adding to its charm!